The petitioners challenging the Aadhaar scheme have been pressing for an interim stay order on the government's decision to make Aadhaar mandatory for welfare schemes. 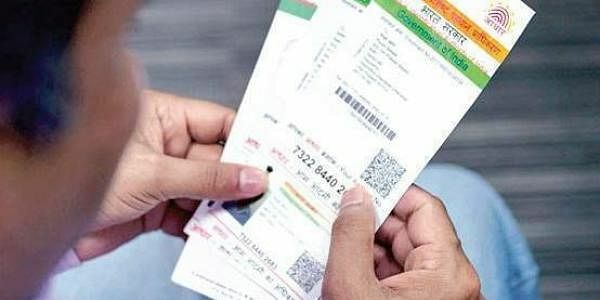 NEW DELHI: The Supreme Court today said it would hear a batch of petitions challenging mandatory linking of Aadhaar for granting various services to citizen after its constitution bench concludes hearing the Delhi-Centre dispute. The Centre, meanwhile, informed the bench headed by Chief Justice Dipak Misra that it was willing to extend up to March 31 next year the deadline fixed for mandatory linking of Aadhaar with various schemes. The bench, also comprising Justices A M Khanwilkar and D Y Chandrachud, said only the Constitution bench will pass an interim order in the matter. The apex court is hearing a batch of pleas filed by the Delhi government against the Delhi high court verdict which had held that Delhi is not a state and the Lieutenant Governor (LG) is its administrative head. On October 30, a bench headed by the CJI had said that a constitution bench would be constituted and Aadhaar-related matters would come up for hearing before it. The apex court had on November 13 refused to entertain a plea challenging the linking of mobile numbers with Aadhaar, saying several similar petitions were already pending before it. The top court had on February 6 asked the Centre to put in place within a year an effective mechanism to scrutinise details of identity of over 100 crore existing and future mobile telephone consumers. It had on November 3 made it clear that banks and telecom service providers will have to indicate the last date of linking bank accounts and mobile numbers with Aadhaar in their communications with customers. Currently, the last date to link Aadhaar with bank accounts is December 31 this year while for mobile numbers, it is February 6, 2018.